When designing and manufacturing pumps, machined plastic parts can often be a good choice. As far as materials go, plastic is durable, lightweight and cost-effective. That being said, it’s important to do it right. Here, Alex Curtiss, President and CEO of Engineered Plastic Products Corporation, offers his advice. 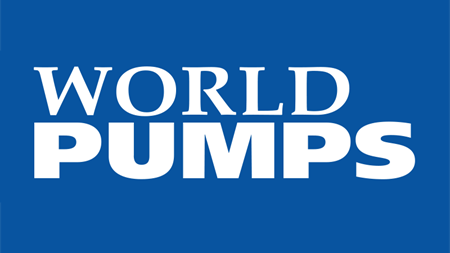 The type of plastic you use, the way parts are manufactured, the kind of machinist who makes them for you – all these details can make the difference between producing a high-performance, long-lasting pump and one that fails on the job; creating unhappy customers and big-time headaches for you. In addition, the weight-to-strength ratio of plastic tends to be high, making it both sturdier and lighter in weight than other options. Furthermore, with the proper selection of materials, most plastics can handle high pressure applications. And of course, plastics often represent a cost-savings, which can help you better manage your price points. A little knowledge goes a long way; consider these 10 guidelines for successfully engineered pumps with machined plastic parts. Unlike many metals, the right plastic materials can withstand exposure to chemicals, water, air, fuels, blood and pharmaceutical compounds. Some plastics are chemical, corrosion, and impact resistant, making them hardier than other materials in certain applications. Plastics specialists are knowledgeable of the variety of plastics and which are the best to use for a given application. Not all plastic parts are created equal. For example, for small runs or pieces that require a high level of precision, machined parts are preferable to those that are injection molded. For example, injection molding does not lend itself to creating complex designs, such as pump parts requiring a number of carefully placed holes. And of course, injection molding is not as cost-effective when manufacturing in smaller quantities due to tooling costs, an important factor when managing total production costs. Made correctly, machined plastic parts provide a high level of reliability. So if your pumps need to work at a site that isn’t easily accessible for servicing-say, underground underwater, or even inside a human body-machined plastic parts may be your best bet. For example, it was the right solution for a client of mine that makes high and low-pressure chemical injection pumps. Because the client’s pumps are often used in harsh, remote environments that are not easy to reach, dependability is the key to the products’ marketability. Working with the client, we choose specific plastic that was corrosion resistant, able to withstand high pressure, and resistant to harsh chemicals. The durability of these parts helps keep the pumps going without the need for expensive service calls. Scaling down a product? Machined plastic parts can help. the space inside a product- which featured a series of connected pumps- by replacing its hoses and stainless steel connectors with machined plastic parts and manifolds. This simple innovation cut the product’s size by one third and reduced its weight by half. Since this particular product is designed to be portable, this proved to be a huge advantage. And since plastic parts are more affordable than the stainless steel used before, the business was able to cut costs as well. Don’t use a metal machinist to make plastic parts. vendor rather than try someone new. Other times, they simply don’t realize that there is such a thing as machining specialists who deals exclusively in plastic parts. Either way, using a metal machinist to make plastic machined parts can be a very costly mistake. When a company uses the same equipment to make both metal and plastic parts, the plastic can be contaminated. Often, the contamination may not be visible to the naked eye, which means it goes unnoticed until the product fails in the field. And if those parts happen to be in pumps that are part of products like, say, medical devices, that oversight can have dire consequences for manufacturers. It’s not worth the risk. It’s easy to underestimate the risk of contamination, until you consider how it occurs. Contamination can occur one of two ways. First, no matter how hard the machinist tries, it is difficult to clean every shred of metal off a machine that has been used to make a metal part. It may look clean, but it’s not. When a plastic part is made on that machine, tiny metal fragments can be embedded in the plastic. Even the smallest shard in one small part can cause a very complex machine to break down over time. The part may pass inspection, get installed, and initially work like it should. But in a matter of weeks or months, that fragment can cause the part to degrade to the point where the pump stops working. Detecting the problem can be difficult, because the culprit may just be a tiny sliver or spec. Second, contamination can occur due to the differences in the processes between machining metal and plastic parts. Manufacturing metal parts often call for the use of cutting oils. As with metal fragments, it’s difficult to completely wipe these oils of a machine before running a plastic part. What’s good for metal can be damaging for certain plastics. And again, those contaminating oils can lead to defects you won’t see until the product stops working. Every machinist needs to understand the properties of the materials he or she is working with. Machining plastic is completely different than machining metal. 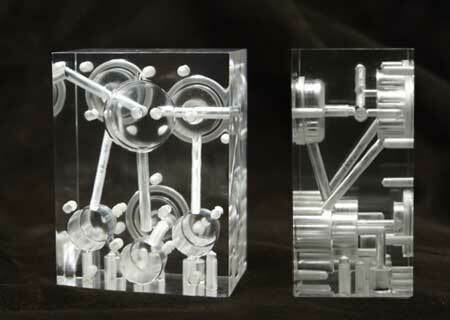 For example, machining plastic parts often involves holding blocks of plastic in vices. But metal and plastic can handle different levels of stress. Unfortunately, metal machinists who aren’t used to dealing with plastics may not realize this. As a consequence, they may set the tension on a vice holding the plastic the same way they do for its metal counterpart. For most plastics, though, this may be too tight. As a result, when the drill enters the plastic, the plastic may flex just a little, causing very tiny cracks. Those cracks may be so small they go undetected… until there is a problem. A plastics expert, on the other hand, will know the proper tension to use on each type of plastic and can spare you this potentially costly mistake. Different plastics perform best under different conditions. When sourcing plastics, you’ll need to account for factors like humidity, abrasion resistance and thermosensitivity. You don’t have to be a plastics expert in order to make the right choices; you just need to know one. Plastic machining experts can recommend what plastics are best for specific purposes. And in addition to making suggestions, they should be able to provide resources such as property charts and plastic material handbooks that can help you choose the right material with confidence. Sure, it sounds obvious. But you’d be amazed how often it is overlooked. While working with an expert in other fields often means higher costs, the same does not necessarily hold true when it comes to plastics machining specialists. This is largely because their expertise increases the chance of getting a part right the first time. Top plastic machining specialists have processes in place to keep customers’ costs down by operating efficiently and keeping errors to a minimum. Making parts in an environment that avoids contamination risks, knowing which materials are best for the job and machining parts in ways that reduces the chance of even microscopic cracks all contribute to making the process more efficient and, in turn more cost effective in the long run. that add value to your project? A true specialist will have a wealth of information to give you, plus the expertise to get your job done right. (EPP) in Mount Prospect, IL. The company has specialized in producing high-precision machined plastic parts for the aerospace, medical, instrumentation and water treatment industries since 1976 and has been ISO certified since 2002 and ISO compliant since 1994.